Laser capture microdissection can be applied to a wide range of different cell and tissue preparations, including frozen sections, sections from fixed, paraffin-embedded archival material, and certain cytological preparations.1-3,4-1 The most important parameters to consider for LCM are the type and fixation of the tissue to be examined, the morphologic features suitable for target identification, the desired target biomolecule—DNA, mRNA, or protein— and the type of downstream analysis. 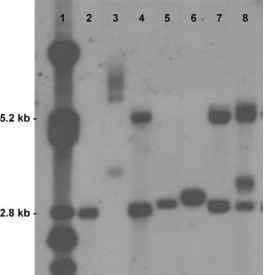 DNA is relatively resistant to fixation and staining procedures and provides an ideal target for PCR-based analysis. Detection of point mutations or loss of hetero-zygosity (LOH), or identification of lymphocyte clonality in lymphomas can be greatly facilitated by collecting highly enriched tumor cell populations with LCM, thus increasing the diagnostic yield and obviating the need for more labor-intensive analytical strategies. Microdissection is crucial for the molecular analysis of discrete functional anatomic units such as glomeruli, or small lesions such as preneoplastic changes or areas of tumor heterogeneity which are not amenable to conventional examination of bulk tissue extracts. The investigation of precursor lesions allows the correlation genetic alterations with the morphological stages of tumor development, thus testing models of the stepwise acquisition of progressive genetic changes in vivo. In combination with techniques for the random amplification of the whole genome, comparative genomic hybridization (CGH), whole genome allelotyping, or other applications can be performed on a small number or even single cells. However, the smaller the amount of template available, the higher is the risk for artefacts such as allelic dropout, biased amplification of certain sequences, or introduction of Taq polymerase errors. Critical evaluation of results and introduction of multiple controls, such as repeat analyses and continuous parallel investigation of adjacent normal tissue, are mandatory. For most purposes, detachment of captured cells from the membrane by proteinase digestion without further purification steps renders DNA template of sufficient quality. Although frozen tissues usually show superior DNA quality, paraffin-embedded archival tissues can be used for most DNA-based analyses.